The words too, two, and to are small but carry big impact. It’s easy to write one when you meant the other. I always look at the letter W and think of two V’s, or I consider the way it’s pronounced, “double-u.” In this case, think two letters = two. I love Memorial Day weekend for a variety of reasons — my birthday falls on it most years, there’s bound to be a barbecue somewhere, and it’s the start of the Elevate pool party. Chris Nicholson and Mike Zarin have hosted the event at the W hotel downtown since 2009. Local and international DJs create the poolside vibe. Attendees run the gamut from fashionably fabulous to freshly hungover. All are welcome to don a bathing suit and swim, dance, take in the 16th-floor view, sip luxuriously (read: expensive) yummy cocktails or do it all. Zarin says there’s been an uptick in the number of condos sold in the building over the last year. In an effort to let the ballers who bought there get their fair share of sunshine, the event will be held from 4-10 p.m. It’s also going monthly. 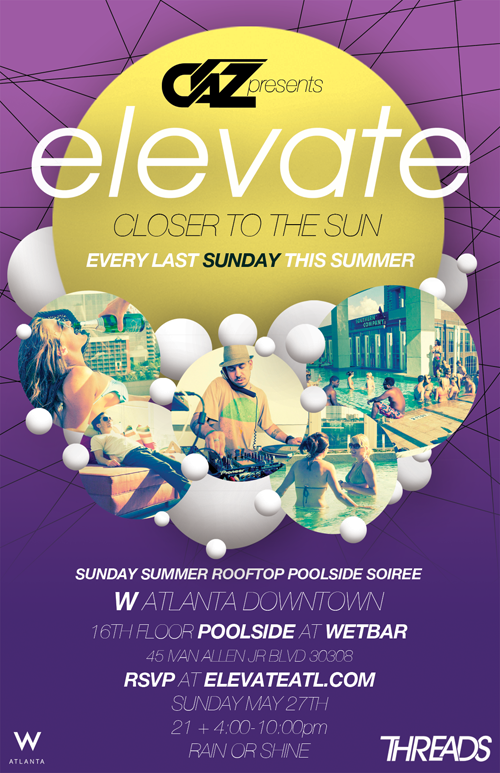 So schedule the last Sunday of every month for sunbathing and beats at Elevate. Free with RSVP. There’s a capacity limit, so arrive early. I almost titled this “ChanteSez … Don’t contract a typo.” But there are one too many ways to read that sentence. So let’s get to it: Contractions are pesky. What’s a contraction? Two words — one abbreviated — joined by an apostrophe. 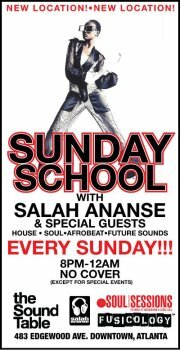 Tonight, Salah Ananse moves his weekly Sunday School soiree to the Sound Table after nearly a year at the Reserve atop Cafe Circa. I’m more excited about the event now that it’s at the Edgewood Aveune favorite, just a few doors east of Cafe Circa. Expect fewer cigars, a bit less pretense — although there have always been friendly faces and no formal dress code — and maybe more dancing. The weather’s gorgeous (and will remain in the 70s till later), so check it out tonight and every Sunday at 8 p.m. until late. No cover. TED is an annual conference of sorts that asks the world’s greatest minds to share what they’re passionate about, broadcasting these “ideas worth spreading” live and across all mediums. Out of that session came an initiative to move TEDx out from the Westside consulting agency where it’s held and into the community. The Year of Boulevard is a project spearheaded by the Atlanta councilman for the area, Kwanza Hall. Hall is a strong supporter of economic equality and culture — you’re just as likely to see him leading a neighborhood clean-up in the Old Fourth Ward as you are chilling at the Sound Table. Now you know Boulevard can be a straight mess. “Live Mas”? Not if I have to get food from the Taco Bell off Parkway. Let’s not even get started on the gas station off North, or the corner store just south of Edgewood. Yes, $110 is steep. 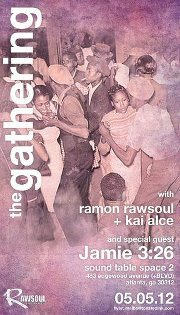 But you can contribute by donating a few bucks at the Gathering tomorrow night at Space 2. Kai Alce and Ramon Rawsoul are spinning, along with guest DJ Jamie 3:26 from Chicago. The $5 admission does not include a donation to the Year of Boulevard, so bring a little extra.